Over the past year, a coalition of leading sporting organizations and broadcasters from around the world have united to universally condemn piracy operations in Saudi Arabia, calling for decisive action to be taken to stamp out beoutQ and for Arabsat to stop distributing the illegal broadcast channel. 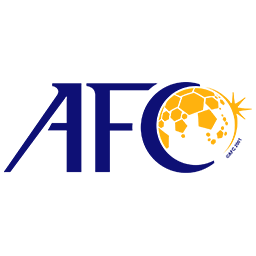 “Collectively, we, as rights-holders in various football competitions, condemn the pirate entity beoutQ, which continues to abuse the operations of rights holders and legitimate broadcasters through its persistent and illegal screening of events for which it has made no effort to secure the rights; the latest example of which is the AFC Asian Cup UAE 2019. The activities of beoutQ are a clear and flagrant breach of our intellectual property rights. beoutQ’s piracy harms not only us, as rights holders, but also our legitimate licensees and, ultimately, the fans of our competitions. Money raised from the sale of TV rights helps us to support the participants, as well as to develop and grow the sports of which we are guardians from the grassroots up. Piracy kills that investment. “FIFA has observed that the pirate entity named ‘beoutQ’ continues to use illegally the 2018 FIFA World Cup™ broadcast signal. Accordingly, FIFA has engaged counsel to take legal action in Saudi Arabia and is working alongside other sports rights owners that have also been affected to protect its interest. The Asian Football Confederation (AFC) today condemns the pirate entity named ‘beoutQ’ that continues to illegally broadcast the AFC Asian Cup UAE 2019. The AFC has already instructed counsel to take legal action in Saudi Arabia and is working alongside other sports rights owners that have also been affected to protect its interest. The AFC will continue to support its commercial and broadcast partners by protecting their contractual rights. “The Confédération Africaine de Football (CAF) reminds that, it holds, on an exclusive basis, all the rights pertaining to its competitions, including all the related matches and any related official events, without any restrictions as to content, time, place and law. No one other that CAF is legally authorized or empowered, without the prior written authorization of CAF to use and/or exploit any media rights related to its competitions, regardless of the methods of broadcast transmission (satellite, terrestrial, IP…). CAF has granted an exclusive license to beIN Media Group for the transmission of the main CAF competitions, including but not limited to, the final tournament and the qualifying matches of the Total Africa Cup of Nations, the Total CAF Champions League, the Total CAF Confederation Cup, the Total CAF Super Cup, the Total Women Africa Cup of Nations. This exclusive license covers in particular the following territories: Algeria, Bahrain, Chad, Djibouti, Egypt, Iran, Iraq, Jordan, Kuwait, Lebanon, Eritrea, Libya, Mauritania, Morocco, Oman, Palestine, Qatar, Saudi Arabia, Somalia, South Sudan, Sudan, Syria, Tunisia, the United Arab Emirates and Yemen. Recently, an entity called “beoutQ” has put in place a major piracy operation against beIN Media Group. In this regard, CAF strongly condemns the practice of the audiovisual piracy of sport events, a real scourge for our industry. With the start of Ligue 1 Conforama and Domino’s Ligue 2, The French Professional Football League (LFP) is aware that matches from the competitions it organises are broadcast illegally on a pirated channel called ‘beoutQ’. LFP is taking ‘beoutQ’ and Arabsat’s non-authorised exploitation of its products very seriously and has addressed a letter to the Directorate General for Trade at the European Commission, seeking support for investigating ‘beoutQ’ and demanding that pressure is placed on the Kingdom of Saudi Arabia to act and shut down the channel. The LFP has also written to Arabsat to demand that they stop ‘beoutQ’ from using its satellites to broadcast content. In addition, the LFP is examining all legal options, recourse and remedies that are at its disposal. The Premier League is aware of new evidence presented by beIN Media Group, which further demonstrates that its content is being illegally broadcast in Saudi Arabia and made available in several countries across the Middle East by an illegal pirate channel called “beoutQ”. Like other sports and content providers, our model is predicated on the ability to market, sell and protect commercial rights. The broadcasters and licensees who acquire these rights legitimately, like beIN Media Group, make our competition available to fans across the world, and their investment underpins our ability to support Premier League clubs in continuously working to make the competition as compelling as possible. We have also made representations through the Sports Rights Owners Coalition to the European Commission and made the UK Government aware of the issue. As the legitimate Premier League rights holder across the Middle East and North Africa, we will continue to work with beIN Media Group to bring this highly organised and sophisticated illegal broadcast piracy to an end. The Premier League has seen evidence showing ‘beoutQ’ a highly sophisticated pirate operation distributing illegal content in multiple territories in Middle East. As such, the Premier League has appointed legal counsel in Saudi Arabia to begin the process of bringing legal action against the parties involved in this piracy. Given the strong copyright framework in Saudi Arabia, the Premier League is confident that the Saudi Arabian authorities will ultimately uphold its clear rights when the action is commenced. The world’s tennis governing bodies have joined forces to publicly condemn and call for the immediate closure of the illegal Saudi Arabian-based piracy operation, “beoutQ”. Over the past year, a whole variety of world tennis content has been illegally broadcast across the Middle East and North Africa (MENA) region by a pirate television channel called beoutQ, which in turn distributes the content on the Riyadh-based satellite provider Arabsat, without any rights whatsoever to do so. The united voice of condemnation from world tennis joins the chorus of other world sports organisations that have been calling for Arabsat to stop facilitating the mass-scale piracy and for decisive action to be taken to stamp out beoutQ. beIN MEDIA GROUP is the exclusive rights holder in the MENA region of major tennis tournaments, which are owned, operated, sanctioned or their rights sold by organisations across world tennis including the All England Lawn Tennis Club, the ATP World Tour, ATP Media, the Women’s Tennis Association, the United States Tennis Association, the French Tennis Federation, Tennis Australia; and it represents the global rights to the International Tennis Federation. It is these leading tennis organisations, extending to all four corners of world tennis, that have come together to denounce beoutQ. Over the past 12 months beoutQ has been brazenly stealing the broadcast feeds of international tennis tournaments and distributing them illegally on a satellite provider called Arabsat. The premium sports content is then viewable on illegal beoutQ boxsets and online, in many cases for free across MENA. This mass-theft of tennis TV rights has prompted the world tennis organisations to come together to condemn and call for an immediate end to the illegal exploitation of its intellectual property. Industrial-scale illegal piracy of this nature is of great concern as it risks significantly damaging the value of the commercial broadcast rights that tennis governing bodies and rights holders around the world rely on to fund the sport at a professional and amateur level. However, tennis is just one sport that is suffering at the hands of the piracy. Both FIFA and UEFA have issued statements in recent weeks denouncing beoutQ, joined by further condemnation from other sports, major broadcasters and rights holders around the world who have also had broadcast feeds and content stolen. Timo Lumme, Managing Director, IOC Television and Marketing Services: “The International Olympic Committee (IOC) is aware of the troubling development in Saudi Arabia of the piracy of sports content, including Olympic content. The IOC takes the threat of illegal piracy of Olympic content and IP incredibly seriously. Our exclusive broadcast partner in Saudi Arabia, and across the whole Middle East and North Africa region, is beIN MEDIA GROUP. Revenues generated from our broadcast partnerships provide the most important source of funding to support the staging of the Olympic Games, the athletes and the development of sport around the world. The illegal distribution of Olympic content in Saudi Arabia by beoutQ is ultimately cheating the athletes and the global development of sport. Our understanding is that the unlicensed distribution of sports content via satellite has been facilitated by beoutQ via Riyadh-based provider Arabsat. We take intellectual property infringement seriously. We are working closely with FIFA, international soccer’s governing body, to protect our rights. It has come to our attention that there has been illegal distribution of Eleven Sports channels to beoutQ’s device. This unauthorised streaming of Eleven Sports’ services seriously infringes our intellectual property rights. We stand firmly against content piracy in any form and we take violations of this nature extremely seriously. We are looking into this issue and we will take the appropriate course of action. A particularly troubling example is starting to take root in international sports broadcasting – particularly soccer. The widespread piracy currently spreading throughout the Middle East has largely been ignored. It has been overshadowed by a wider diplomatic dispute between the Kingdom of Saudi Arabia (KSA) and Qatar, and including the United Arab Emirates, Egypt and Bahrain. Regardless of this geopolitical context, if left unchecked, the piracy we are seeing perpetrated threatens the future of international sports broadcasting around the world. Let’s start with the basics. Professional sports organisations, such as soccer’s global governing body Fifa, which organises the World Cup, depend in large part on the ability to sell exclusive broadcasting rights to generate income. Without this stream of income, those organisations and the professional sports they support likely could not exist. he international legal framework is relatively straightforward. Copyright law must comply with rules contained in the Agreement on Trade-related Intellectual Property Rights (TRIPS Agreement) of the World Trade Organisation (WTO), of which both Qatar and the KSA are members. A fundamental principle of the TRIPS Agreement is that countries cannot discriminate against foreigners. Under a rule known as ‘national treatment’, WTO Members must provide ‘no less favourable’ treatment to nationals of other WTO Members than they provide to their own nationals. WTO Members must also protect copyright and provide adequate enforcement options. How are these rules applicable to the situation emanating out of the Middle East? Fifa has granted exclusive World Cup broadcasting rights in the MENA region to Doha-based BeIN Sports. BeIN also has exclusive rights to England’s Premier League, FA Cup final and the Uefa Champions League, amongst others. BeIN uses encryption to protect its signal and make it available to subscribers, as satellite and pay-per-view services do all around the world. The diplomatic dispute between Qatar and the KSA, which began last summer, led to what is effectively a ban of the BeIN service in the KSA. This normally would mean that this signal would not be available in the KSA. Under international rules, WTO Members are allowed to censor content – for example in cases of morality – but this is not censorship. If there were grounds for legitimate censorship, the censored content would simply be unavailable, and KSA authorities would be expected to take action to enforce the ban. However, the BeIN signal isn’t censored in the KSA – after all, the signal is simply broadcasting soccer matches and other sports content. Instead, BeIN’s content is made available by a service widely available in the KSA known as BeoutQ, which has found a way to decrypt the BeIN signal, which it then transmits via ArabSat to its subscribers. To do so, it sells decoder boxes embossed with the BeoutQ logo, and subscriptions to the BeoutQ service. Tweets promoting the BeoutQ service use the rhetoric of professional pirates who describe all intellectual property rights, especially patents or copyrights, as ‘monopolies’ that must be dismantled. The satellite broadcaster, ArabSat (headquartered in the KSA), has reportedly refused to take any action to discontinue the pirated transmission. BeIN has tried to enforce its rights in the KSA only to find that it and other Qatari-headquartered international companies have no access to the KSA legal system. There is little doubt that the professional broadcast of a match, with creative choices made as to which camera and which angle to use, the editing and selection of clips for replays, selection of shots, the use of split screens, commentary, merits copyright protection. As the World Intellectual Property Organisation’s (WIPO) (again, of which both Qatar and the KSA are members) guide makes clear, ‘rebroadcasting or cable distribution of a broadcast without authorization and usually for commercial purposes including “bootlegging”’” are acts of piracy. The continued existence of the BeoutQ service, ArabSat’s facilitation of that service, and the failure of the KSA (including its judicial system) to take action against this piracy likely amount to multiple violations of the TRIPS Agreement: by failing to provide national treatment; by failing to protect copyright rights in broadcasts and works contained in those broadcasts; and by failing to provide adequate enforcement options to BeIN. It is BeIN that has been targeted for now for political reasons, but any international broadcaster could be next. If this situation continues, the logical consequence will be that the sale of exclusive broadcasting rights to sports and other events will be significantly more difficult in the future. Devaluing the key asset of rights-holders in the financing of many important events is self-evidently a threat to fans, athletes, and the organisations that support them. Allowing pirates, and those facilitating those pirates, to get away with large-scale piracy for political reasons creates a poor precedent. Multilateral rules are meant to avoid these unfair situations. Those rules are being openly flouted and the future of international sports broadcasting is at stake.